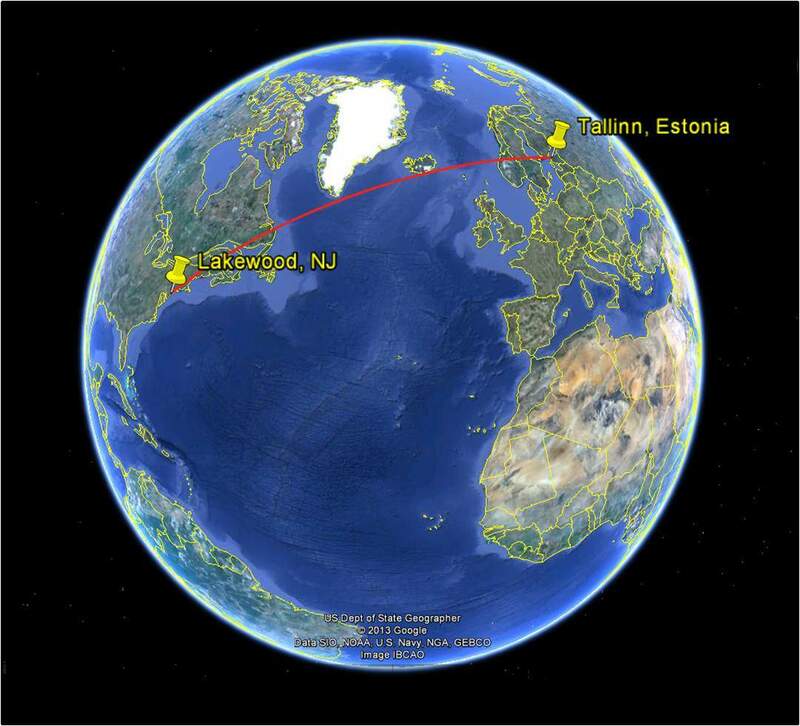 About 4,300 miles (7,000 km) separate Lakewood, New Jersey, from Tallinn, Estonia. But on Friday nights the distance is closer to zero. Not literally, of course. No matter the day of the week, Lakewood is still located along the Atlantic seaboard in the United States while Tallinn faces the Gulf of Finland in northern Europe. Tallinn sits at 59 degrees north latitude, Lakewood at 40 degrees north. Along the longitudinals, Tallinn is at 24 degrees east and Lakewood is at 74 degrees west. In fact, thanks to the spreading of tectonic plates at the Mid-Atlantic Ridge, the two locales drift apart a few centimetres each year. Yet still, in a clubhouse in Lakewood a small group of Estonians and estophiles gathers every Friday night. 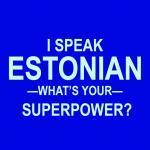 Predominantly, Estonian is the language spoken. However, pockets of English and an irregular Estonian/English hybrid are heard. Open-faced sandwiches, those ethnic dietary staples of buttered dark rye bread covered with ham, cucumber slices, pickled fish, dill and other suitable toppings are served for a nominal fee. Sometimes, frikadellisupp (Estonian meatball soup) is available. Many wash their meals down with that oddly Japanese-sounding but fully Estonian beer, Saku. On the television in the corner, Estonian news shows appear on the screen through the mystery of satellite beams and internet-woven fibre optic cables. If it weren’t for the dull, green paper currency used for monetary transactions, one might actually think they were in Tallinn. This is the Lakewood Estonian House. It is a gathering place for pre-independence Estonian political refugees, their American-born offspring, recent emigrants and friends. On the grand scale, it is a place to preserve culture. On the micro scale, it is a place to chat, relax, make new friends and celebrate. With a current membership hovering just over 100, plus many other guests that support the society, the club is vibrant and finding ways to remain relevant. 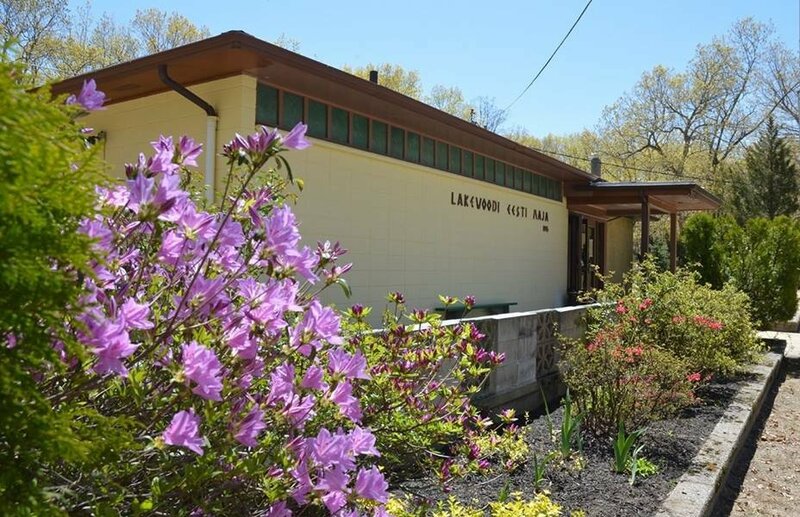 The physical structure, located on a wooded lot, is a modest building constructed from concrete blocks. The memories, in turn, have been formed from equally concrete moments in time. Inside there is a kitchen, two banquet halls, a stage, multi-function rooms and, of course, a bar. Outdoor amenities include a performance area with bleachers, a sauna, a tenting area for larger events and, you guessed it, a bar. The history behind the mortar and blocks, carefully laid with knowing hands, buckets of sweat, and a shared love for the fatherland, can fill an entire book. Indeed, it did. 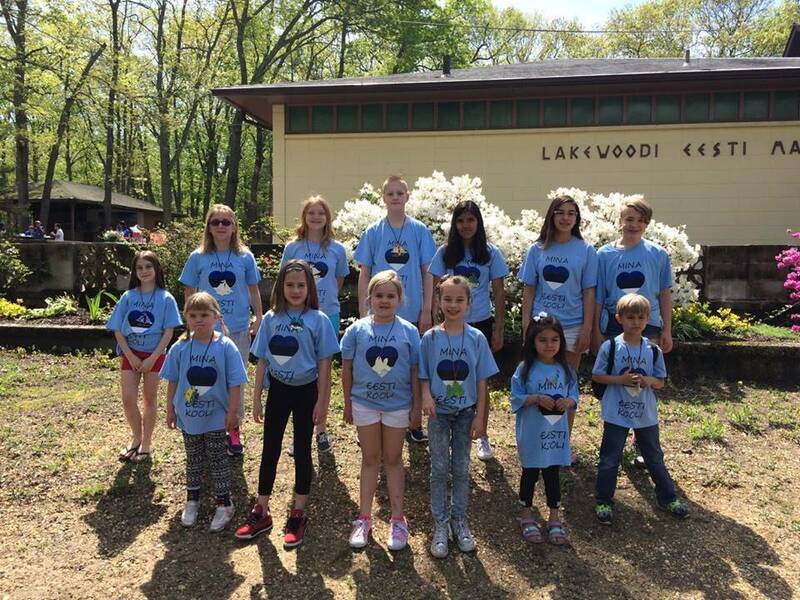 In 2006, the Lakewood Estonian Association published “Lakewood Estonian Association – 60, History of an Ethnic Community in New Jersey”. The compendium, eloquently told from the perspective of Estonians and non-Estonians alike, begins in the early 1900s and documents the people and the place. From the earliest known arrivals to the area, to the land donated by Konstatin Lacht, to the construction of the original building in 1947 and the expanding population driven structural additions, to the many events that filled the grounds, to the families that made it possible, the book is a rare slice of history. In addition to regular Friday night gatherings, the clubhouse hosts special events and holiday parties. Vabariigi aastapäev (the Estonian Independence Day) is celebrated with passionate speeches, cultural displays and a feast of traditional food. The Estonian flag, flying on a pole near the front door, seemingly flies a bit stronger and prouder on this day. 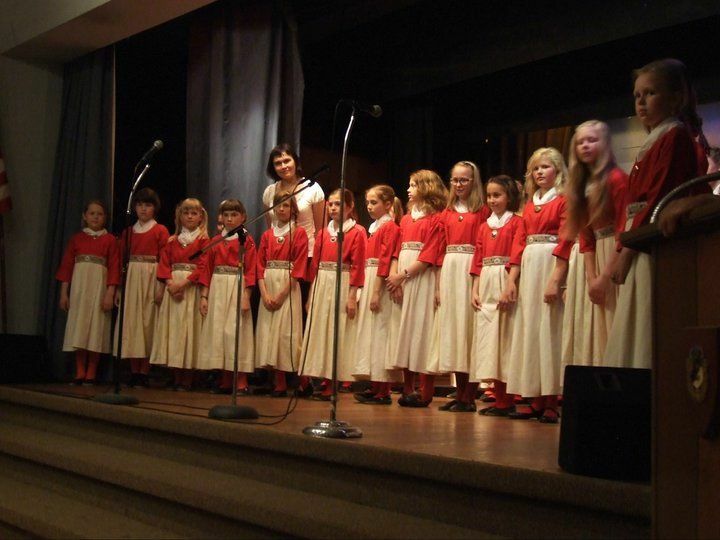 In May, the Lakewood Estonian School children put on a Mothers’ Day pageant to show off their new vocabulary skills. The school children sing, recite, dance and act. The parents, in turn, smile broadly. An occasional proud tear dots the faces of the children’s parents. Jaanipäev (Midsummer Day), a celebration conceived from a pagan past but later baptised in the name of St John, is a grand reason to sing, dance and be merry within the glow of a small bonfire. The summer solstice sun hovers late in the sky in Lakewood, but not nearly as tardily as in Tallinn. A sports festival in August is bipolar in nature, with vigorous athletic competitions during the day followed by light debauchery after the sun goes down. A time honoured and tested tradition, the Saturday festival is consistently the most well attended event drawing Estonians from far and wide. On Sunday, the remaining crowd gathers at an Atlantic Ocean beach to rest sore muscles and nurse hangovers. 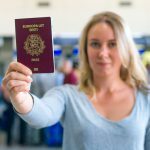 In the autumn, a Tuluõhtu (fundraising night) asks members and patrons to have a fun evening while opening their wallets for the Estonian House is sustained through benefactors and support of members. The Christmas season is celebrated in mid-December with another performance by the school children, an appearance by jõuluvana (Santa Claus) and generous servings of blood sausage. Matching the yuletide, the mood is cheerful and the conversation expectant. The children will later sleep soundly that night. Other special events dot the calendar in between. Through the years the clubhouse has hosted travelling dignitaries, concerts and plays. 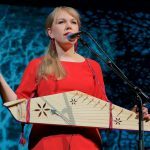 In recent history, the Estonian bands Spido and Meie Mees set up their amps and rocked the crowd, the Estonian Children’s Choir put on a concert to remember and Estonian clowns Piip and Tuut tickled the audience’s funny bones. The Lakewood Estonian House is certainly not the only such outer-Estonian meeting place in the world. I’ve been to other clubhouses in much larger metropolises: New York, Baltimore, Toronto, Melbourne and elsewhere. They all have their appeal and come highly recommended. 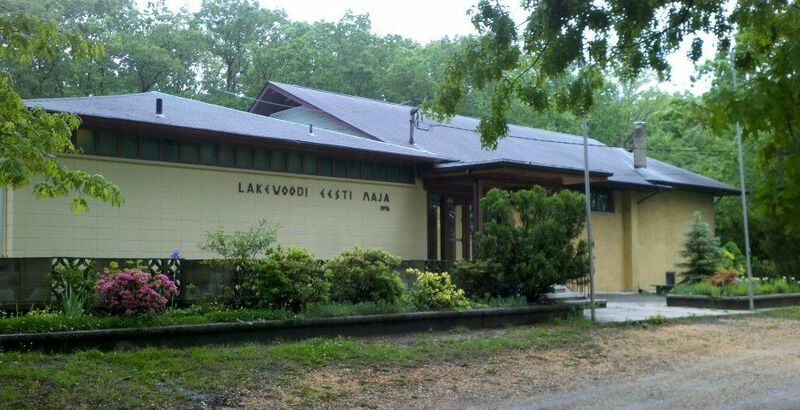 But Lakewood has its own unique charm associated with its particular, and maybe even peculiar, place in the Estonian-American history. So if you’re in the area, stop by on a Friday night. Pull up a chair. Grab a sandwich and beverage of your choice. 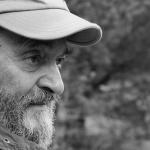 Tell a tale, or simply listen in on the various stories of things Estonia. You’ll be glad you did. Cover: Lakewood Estonian House (photo by Siiri Lind). All other photos by Andres Simonson and Lakewood Estonian House.